For the New York-based music journalist, see Marc Spitz. 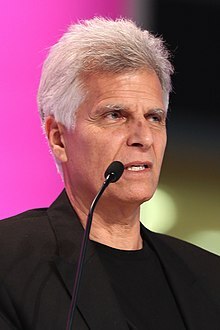 Mark Andrew Spitz (born February 10, 1950) is an American retired swimmer of Jewish descent. He won seven gold medals at the 1972 Summer Olympics in Munich. That achievement was only passed by Michael Phelps who won eight golds at the 2008 Olympics. ↑ "ESPN.com: Spitz lived up to enormous expectations". www.espn.com. ↑ "Mark Spitz Bio, Stats, and Results". Olympics at Sports-Reference.com.